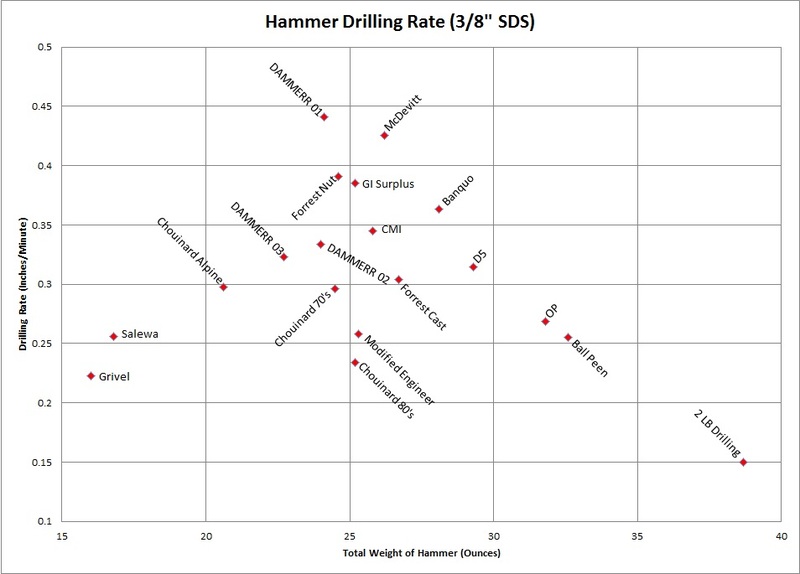 what made the best hammer for hand drilling 3/8” bolt holes in granitic rock. somebody pounds for 10 minutes on a piton, they have probably lost their grasp on reality. 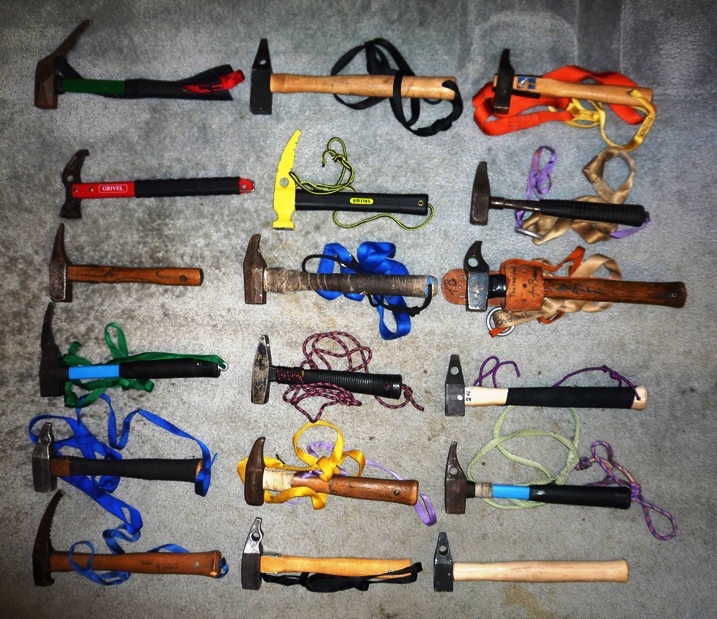 can pound pitons when needed not a piton hammer that can drill the occasional bolt. others that interested me. I also acquired a large block of very good granite. and rested between tests so I wasn't tired. light hammer for a very long time without a break but the hole didn't progress very quickly. hammer size, which makes sense. 14 inches is probably a good comprise. steel rather than advancing the drill bit. I think a Rockwell C hardness of about 48 is best. Perhaps a little bit harder.